Sustainability in Fashion - A Question of Education? A few years ago I was asked to do a talk at my daughter’s primary school as part of the parents-in-school days. The class of ten years olds were expecting me to talk about fashion in terms of catwalk shows and celebrities but instead, I took a different approach. Putting the pupils in pairs, I asked them at the beginning of the lesson to have a look at the labels in their uniforms and come up to place a sticker on the world map I’d brought in and watched as the class interacted. It came as no surprise that Morocco, China and India were countries that received the most dots on the map with UK or Europe hardly touched. Using the map, I explained to the children where the clothes came from and the many processes it takes to manufacture the clothes they were wearing. Not just the fabric and manufacture process, but also the complex layers of transportation by sea and sky, as the goods travel around the globe. The second half of the lesson was even more interactive. I laid out all the tools and equipment that are used in the process of making clothes, including special tools like a tailors curve and a pattern “notcher”, asking them what they might be used for. The last challenge was to discover and design the garment that the pattern pieces, I’d brought in, would make. It was like setting them a mystery-solving game, which my explanations then unravelled. What was revealing was that they were incredibly engaged and intrigued, as they had never thought about the process of manufacturing. While in the school curriculum they do touch on cacao or tea plantations, it was the clever foresight of the teacher to open her classroom to a different type of parent talk and get the children thinking. Just as child obesity in the UK is at its all-time high, so is the disposable fast fashion mentality that’s plaguing this country. The signs have been there for years. The sign of a progressively passive and over-indulgent culture, much of it a result of how technology is making our lives more sedentary. It’s affecting everything, right down to basics such as sleep and wellbeing. Our stomachs are bloated with processed foods just as our wardrobes are full of wear-it-once fashion. However, it’s not all down to our obsession with mobile phones. I believe this phenomenon is rooted in the lost connection with manufacturing. In the UK, generations have grown up having lost all understanding of the chain of events from the field to table from fabric to garment. In Stacey Dooley’s recent documentary, Fashion’s Dirty Secrets she discovers that the process of making a single pair of cotton jeans can waste up to 15,000 litres of water. Dooley later approaches Saturday shoppers on Oxford Street and lines up their purchases with barrels and barrels of water to show the real cost of the high street in the developing world. The reaction is one of stunned shock and shame as shoppers simply do not realise the toll their payday coat or weekend dress is taking on the planet. 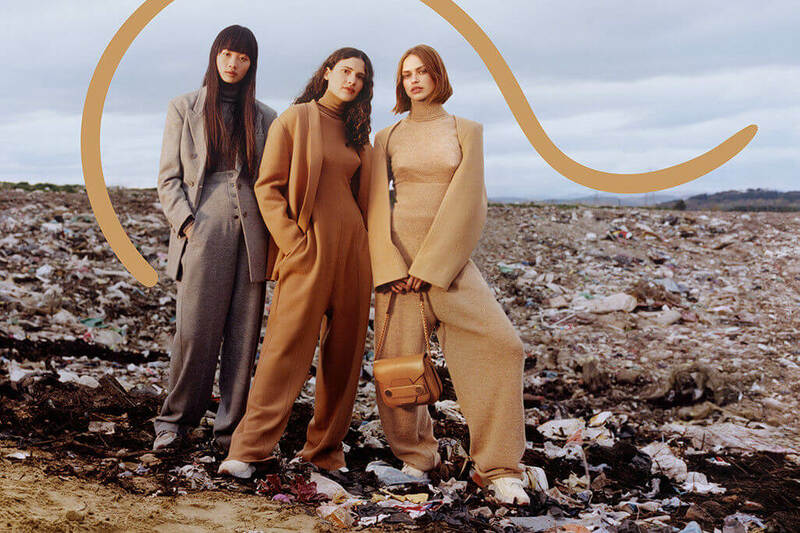 A 2017 report by the Ellen MacArthur Foundation into the future of textiles estimates that “more than half of fast fashion garments produced is disposed of within a year.” This is terrifying and again blame points towards the west. Surveys have shown that in other countries they are less throwaway. Why? Because within every circle of friends and family most people in those countries have a relative or someone who actually grows, breeds or manufactures something. Moreover, they are proud to be part of that economy. I lived in Italy for twelve years and I loved the closeness of the people to the land and to manufacturing. There is that natural connection. Food is fresh and we delight in the incredible taste. Clothes are well made, treasured and handed down. When the UK stopped much of its manufacturing and instead began to import its food, textiles and goods, we lost that connection. While we are trying to rekindle the manufacturing industry here in the UK, those who are investing are finding it hard to find apprentices who want to train and work in manufacturing. There are many vacancies and opportunities, but it seems they don’t find a job in manufacturing as appealing or worthwhile. It’s become apparent that in today’s age of social media, the idea of working in these vocational jobs might seem too much like work. Instead, the mobile generation is lured to believe that a quick and lucrative rise to celebrity status is possible and far more glamorous. It’s an extremely problematic mindset. “Instagram is fuelling this as people are adopting a “look and chuck” – we’ve got a lot more fast fashion” Mary Creagh, chair of the Committee that recently reported to the government. Until we take pride again in farming, agriculture, craft and manufacture, we will remain disconnected. Until we make time to educate and make those connections – where food comes from and how clothes are made – then this throwaway culture will only continue. 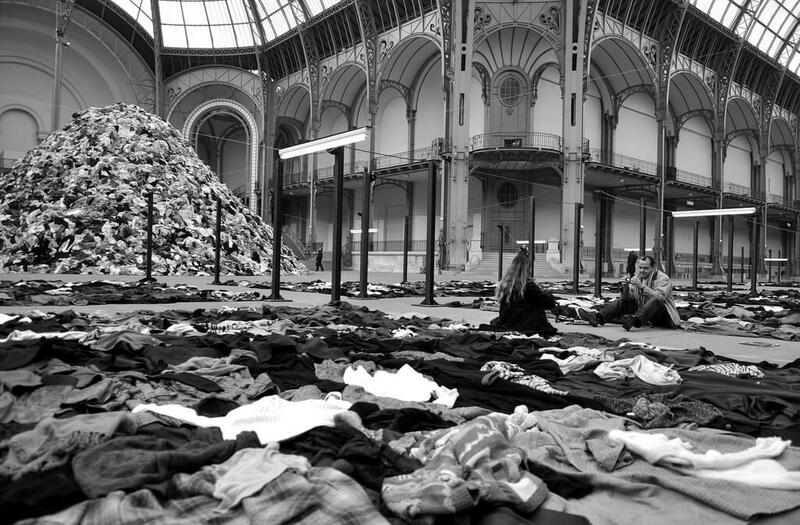 The truth is that the fast fashion business will not self-regulate. It will produce to fulfil the desire of the market. Let’s focus on education, even at primary school level, explaining the resources we are using, the impact of how we live and the real value of things we buy. Only then will we have ever had the chance of seeing change. Subscribe to our newsletter today and never miss a trending fashion topic.